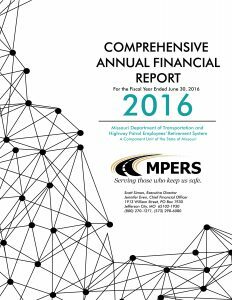 As a component unit of the State of Missouri, MPERS is required to annually produce a Comprehensive Annual Financial Report. 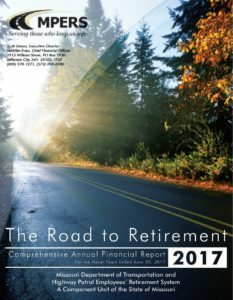 This report is intended to provide MPERS’ stakeholders with a thorough review of the System’s operations for the past fiscal year. 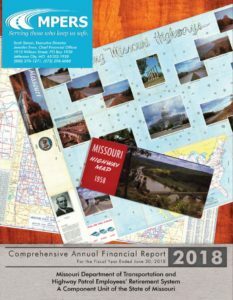 The material presented in these reports has been prepared in a manner intended to be useful and informative to MPERS’ members, the management of MoDOT & the Highway Patrol, and the elected officials of the State of Missouri.